VISUALLY CAPTIVATING CONTENTElgato Cam Link enables you to create premium video content for your audience. Discover excellent quality up to 1080p at a smooth 60 frames per second, which keeps your stream seamless. The Cam Link adapter is impressive as you can use it as a webcam in your favourite apps. Simply connect your DSLR, camcorder, or action camera to your PC or Mac. No need to worry about filling up your memory card, as Cam Link allows all content to be stored directly on your hard drive. With ultra-low-latency, this intelligent technology gets you up to speed on your favourite platforms. Whatever your preference, Cam Link places your content live on your computer for easy mass distribution. POLISH YOUR CONTENT ON THE SPOT Cam Link ensures efficient workflow at all times as all your content is stored straight on to your hard drive. Say goodbye to maxing out your memory card mid-shoot or worse, discovering shoddy shots while editing. While the real-time, full-screen feedback lets you polish scenes on the spot. 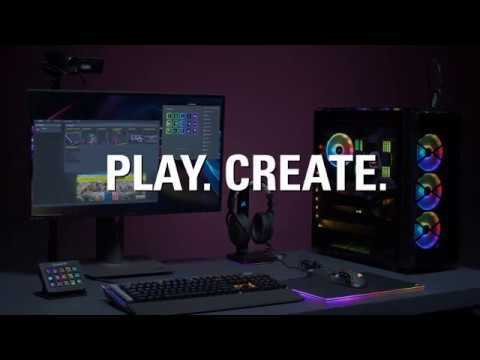 IT’S SHOWTIME Time to take centre stage and let your passions shine – whether you enjoy playing games, unboxing gadgets, or mixing beats. Cam Link puts your content live on your screen for effortless mass distribution. All you need to do is connect your camera, as your audience awaits you. ULTRA-LOW-LATENCY TECHNOLOGY Your camera has never felt more powerful united with Cam Link. Your camera performs as a webcam in all your much-loved apps, including Game Capture, OBS, and Skype. Experience outstanding quality up to 1080p at 60 frames per second keeping your stream professional at all times. With ultra-low-latency technology, get up and running in no time on YouTube, Facebook Live, Twitch, or any other platform you prefer. 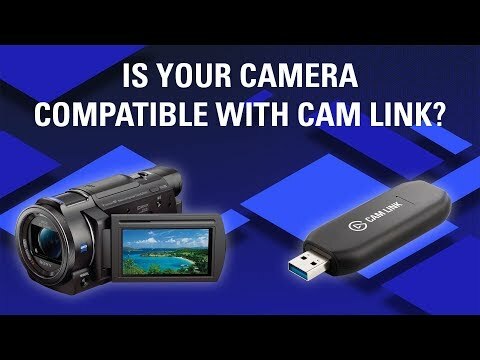 Is Your Camera Compatible with Cam Link?